Almost everyone familiar with the situation when the refrigerator remain products with expired consumption, to eat or drink that no one will dare, fearing for their health. Often this role is yogurt. Pour - the hand does not rise. In this case you should always have in stock a few recipes to use this delicious. Any toppings (fried cabbage with onions and eggs, thick jam, apples, raisins). Oil. for smearing 1 tsp. Toppings: ketchup, steamed and smoked sausage, black olives, pickles, cheese. Mix the ingredients for the dough(flour, yogurt, baking soda, salt), knead everything into a soft tender dough. Roll out a layer of 1 cm, fold in four, roll out again, and so repeat a couple more times. Shape dough into "sausage", put into the refrigerator for half an hour. To get, to cut off pieces of dough to form the cakes. Fry or bake until Golden brown. Especially good from this dough fried pies with cabbage , with meat. To turn on the heating the oven, putting 200oC. Mix thoroughly the ingredients for the dough (flour, yogurt, eggs, salt, baking soda), pour into prepared pan. Grease top with ketchup, put the plate of sausage, pickles, olives, sprinkle with half of the cheese. Bake 30-35 min. until almost cooked, 5 minutes before switching off sprinkle pizza with remaining piece of cheese. It is possible to change a little technology and at first only bake pizza crust until soft, and then spread on top of sauce and toppings, sprinkle with cheese. Mix dough ingredients (yogurt, egg, sugar, soda), it should have the consistency of thick cream. Mash the banana with a fork, add a little cinnamon. Preheat the frying pan and pour batter in pan, forming pancakes. On each put a teaspoon of banana mass. Once the pancake is browned, flip it with a spatula to the other side. We got the pancakes with banana "pripek". 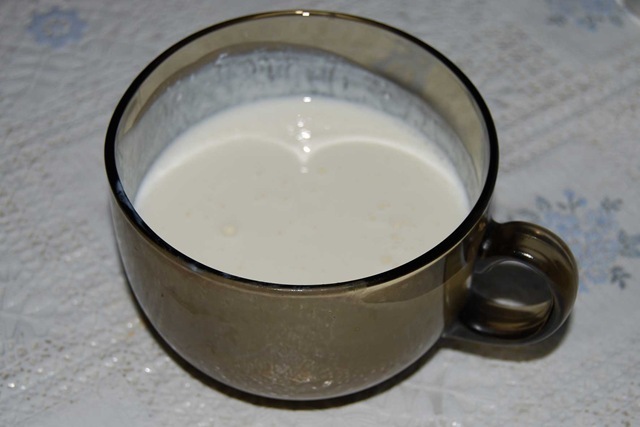 Using stale yogurt for baking, make sure that he is not so wicked to harm you and after heat treatment (no mold, bitter taste, bad smell). Pour and throw away without regret of any product in which you doubted - health is more expensive. To the banana Aladushkin you can apply sour cream sauce, mixed with fresh thick sour cream with mashed to a pulp with a banana or pear. Instead of yogurt in all of these recipes you can use yogurt and whey.